La Folle Journée is a classical music festival that started in 1995 in France, in the northwestern port city of Nantes. Just as its name implies, La Folle Journée (literally “The Crazy Day”) can be depended on to offer the most exciting performances and programs of the many classical music festivals held in Europe. A theme revolving around a composer or genre is selected each year. 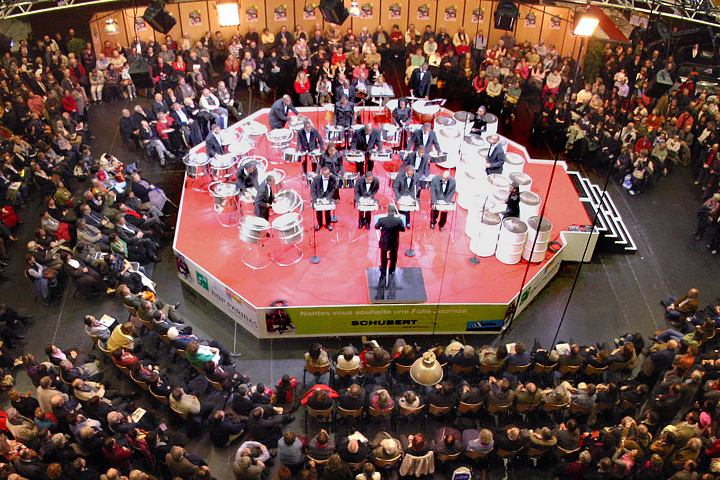 Taking place from morning until night, concerts lasting about 45 minutes are held simultaneously in the 9 halls of the Cité des Congrès convention center. The performers, appearing in 300 performances over 5 days, include the hottest young stars and big names in classical music. Concertgoers can select their favorite works and immerse themselves in classical music all day long. When René Martin planned the first festival in 1995 its theme was “Mozart.” The concept was to hold a two-day concert in multiple venues where music was played around the clock, a music festival that was truly festive. He got his inspiration for its name from Beaumarchais’ play “La Folle Journée, ou Le Mariage de Figaro” (“The Mad Day, or The Marriage of Figaro”). Mozart based his opera upon this play, which was published in 1784. It was a revolutionary work that overturned the values of its day and is even said to have lit the fuse for the French Revolution. Its title of “La Folle Journée” was a perfect match for René Martin’s dream of sweeping away the various barriers that keep people away from classical music. 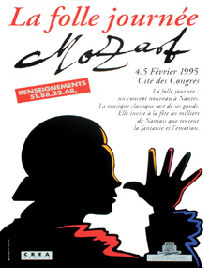 The poster for the first La Folle Journée showed a silhouette of Mozart thumbing his nose mockingly. It was an image of Mozart, the iconoclast who defied the conventions of his day. La Folle Journée, the music festival that started out in the French port city of Nantes in 1995, came to Tokyo in 2005 as “La Folle Journée au Japon.” It drew more than one million visitors in 2007, and has attracted a total audience of 6.4 million people as of 2014. It is developing into the world’s biggest music festival. Always something new to discover! A classical music festival with a different and novel theme every year! Featuring a program of more than 300 concerts and more than 2,000 performing artists! Each performance lasts 45 minutes so you can enjoy concert hopping from morning to night! Tickets to top-class performances start at the affordable price of 1,500 yen! A festival with plenty of events that can be enjoyed by all, even babies or people who know nothing about classical music! 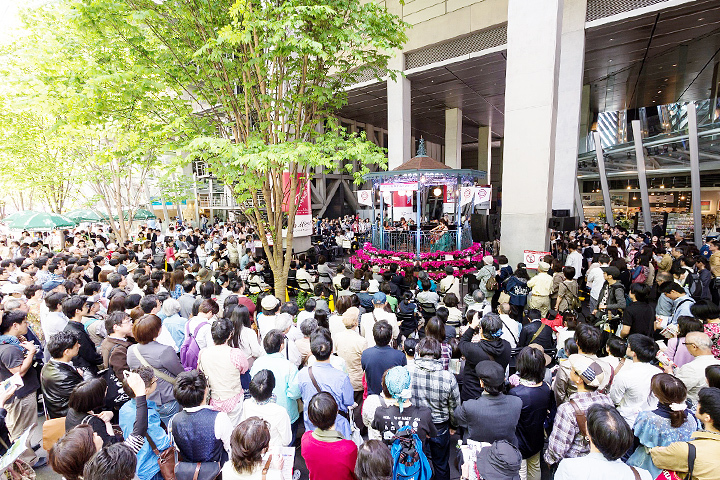 Music fills the streets in this Marunouchi district Golden Week event!